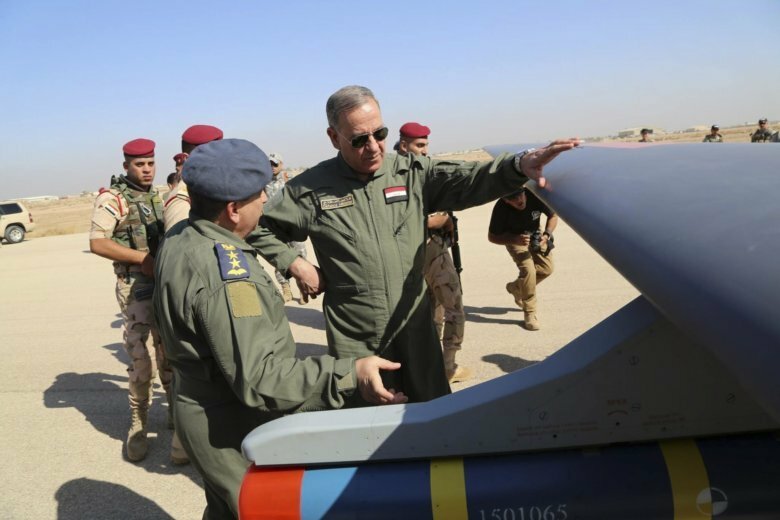 — In Iraq in October 2015, the country’s then-defense minister inspected a CH-4 drone at an air base in the city of Kut. — Chinese armed drones have been operating at Jordan’s Zarqa Airport, at an air base in Pakistan and from bases in Egypt in the Sinai Peninsula and near its border with Libya, according to satellite photos analyzed by the Center for the Study of the Drone. — Satellite photographs taken of a mysterious air base in the United Arab Emirates’ deep south — a desert area known as the Empty Quarter — appear to show three Wing Loong IIs, IHS Jane’s Defense Weekly reported in January. — Two CH-4s were spotted by satellite alongside surveillance-only Predators purchased by the UAE at Jizan Regional Airport in southern Saudi Arabia, near the kingdom’s border with Yemen, according to the Center for the Study of the Drone.